At Woodmansee Insurance Agency, we work and live in the neighborhoods and towns of the people we insure. We are your neighbors and we strive to be there for you whenever you need us. 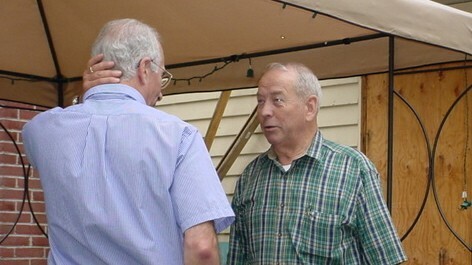 Here is Woodmansee's President, Ralph Woodmansee meeting with a claims adjuster at the home of a client to insure the individual is getting a fair settlement from the insurance company.